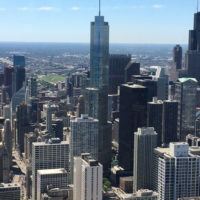 Attorney, Keith R. Siskind of the Law Offices of Steinhardt, Siskind and Lieberman, LLC, attended the American Bar Association ERISA Litigation Seminar held in Chicago from June 7th through June 9th, 2017. This seminar explored a variety of topics associated with claims under the Employment Retirement Income Security Act (ERISA). The seminar was formulated to provide experienced ERISA practicing attorneys with additional information and resources for filing, appealing and litigating ERISA claims, particularly claims for long term disability benefits under an employer sponsored group insurance plan. When pursuing a claim for short term or long term disability insurance benefits under a group insurance plan it is fundamentally important to provide the insurance carrier, or claims administrator, with sufficient medical information to document a claimant’s inability to engage in the material duties of either their own occupation, or any occupation, depending upon the definition of disability applicable at the time. Most group disability insurance plans limit a claimant’s recovery of disability benefits to 24 months for an inability to perform the claimant’s own occupation. The insurance carrier will conduct a review to determine whether the claimant meets a stricter definition of “any occupation” after the payment of 24 months of benefits. (In some plans the period may be 12 or 36 months before transition. There are also plans that will provide solely for “own occupation” benefits – Make sure you have a copy of the group plan and check the policy language – ask your employer to provide you with a copy of the plan if you do not have one). Group plans may also include other limits on benefits for a mental health condition, or self reported symptoms. One of the most critical aspects of submitting medical information is to provide medical evidence of functional restrictions and limitations that demonstrate an inability to work due to a physical, cognitive or mental health condition. An experienced ERISA attorney can review the claim and assist you with obtaining the necessary medical information to support your claim. This may include securing a Disability Work Assessment, Functional Capacity Evaluation, Psychological Evaluation, Vocational Evaluation, or other testing relevant to a claimant’s particular medical condition and the nature of the claimant’s occupational duties. It is also important to obtain and review the insurance carrier’s administrative record and provide medical documentation to refute the opinions of peer review physicians retained by the insurance carrier. This process can be overwhelming for an individual who may have a disabling condition and has seen their benefits denied. Keep in mind that most group plans limit a claimant to one administrative appeal which generally must be filed within 180 days from receipt of a denial of benefits. Check your policy and denial letter to ascertain the appeal deadline. From the Law Offices of Steinhardt, Siskind and Lieberman, LLC in Glen Burnie, Maryland, Attorney Keith R. Siskind has handled claims for short term and long term disability benefits for more than 20 years. Mr. Siskind devotes a majority of his practice to appealing and litigating disability insurance claims. If you have been denied short term or long term disability insurance benefits, or would like to discuss disability insurance benefits that you may be eligible to receive, contact Keith R. Siskind at the Law Offices of Steinhardt, Siskind and Lieberman for a free initial consultation.